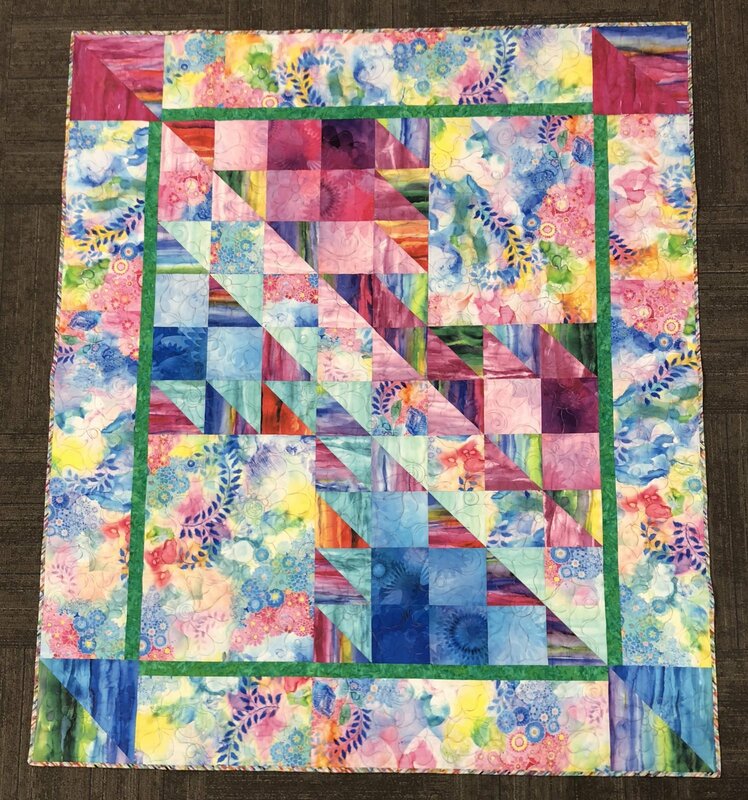 This fun and interesting quilt design has two options for kits to choose from. The quilt shown here is made with the very popular and sought after bright and fun fabric line by Moda: Gradients. We have a very limited number of these kits available to enrolled students for this class only. 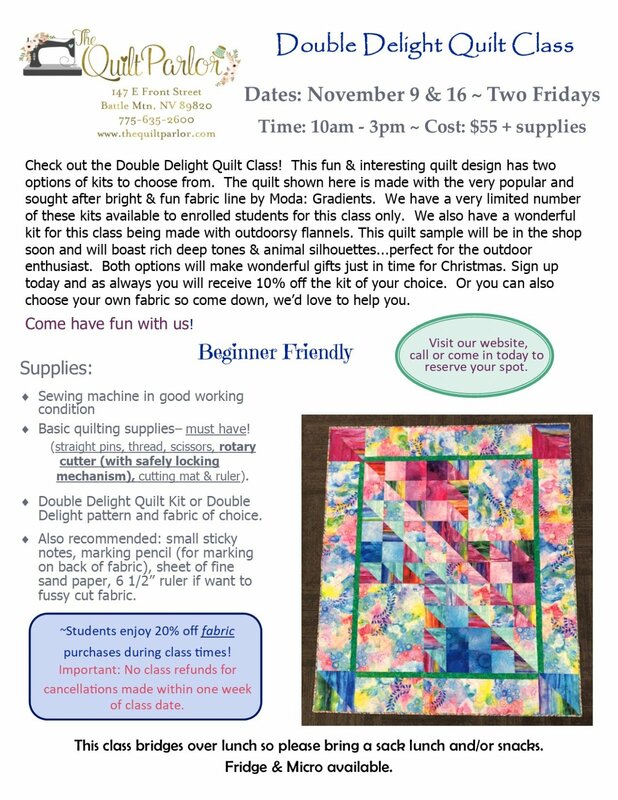 We also have a wonderful kit for this class being made with outdoorsy flannels. This quilt sample will be in the shop soon and will boast rich deep tones and animal silhouettes...perfect for the outdoor enthusiast. Both options will make wonderful gifts just in time for Christmas. Sign up today and as always you will receive 10% off the kit of your choice. Or you can choose your own fabric so come down, we'd love to help you. Click here for downloadable/printable class flyer.